ODC connectors are designed for the fiber to antenna(FTTA) applications,ODC fiber optic connector can withstand harsh environmental conditions when being used in outdoor applications. They are used for data and telecommunications in mobile radio, process, utility and traffic automation. We provides all types of outdoor fiber connectors. These connectors meet the highest quality and robustness standards, and they offer reliability and flexibility for outdoor applications. The ODC connectors,together with the support optical cable,are becoming the standard interface specified in 3G,4G and WiMax Base Station remote radios and Fiber-to-the-Antenna applications. 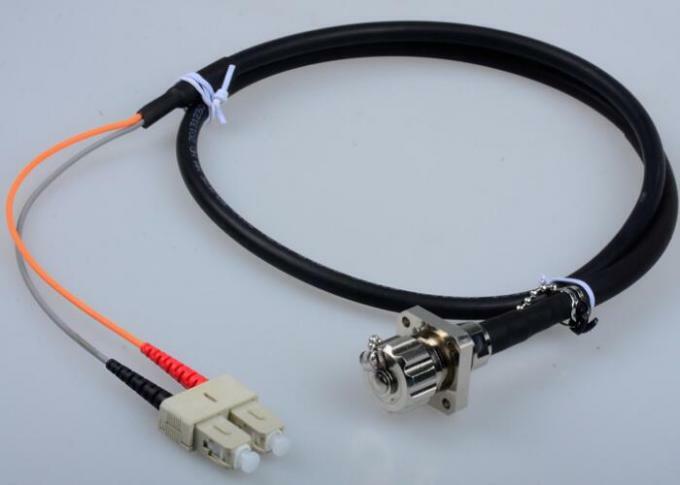 The ODC cable assembly is based on the N Type RF Coax connector. ODC to LC fiber optic cables are in stock. The product,however,is not limited to the above applications, It is also in the oil, wind power, rail transport and heavy machinery of digital information transmission and other areas play a strong role. The ODC cable assemblies have passed tests like salt mist,vibration and shock and meet protection class IP68. They are well suited for industrial and Aerospace and Defense applications.